Spanish artist Ana Soler has a knack for taking the everyday object and creating spectacular installations. 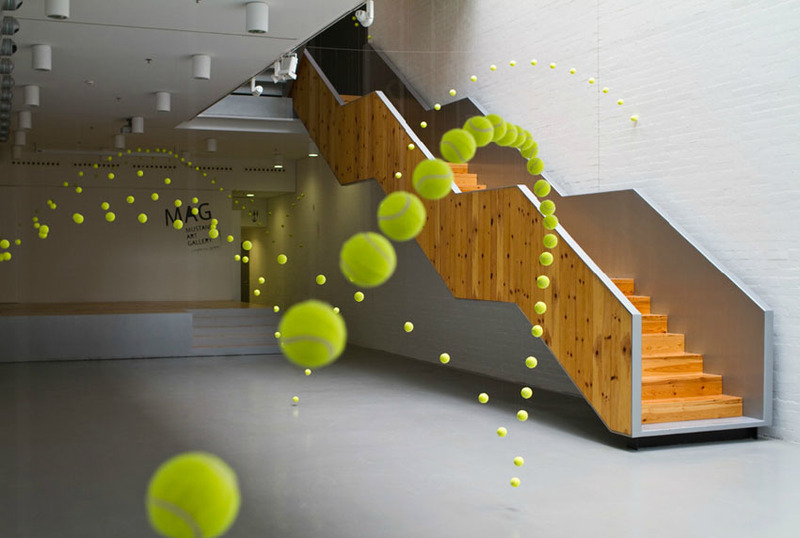 Her most recent, Causa-Efecto (Cause and Effect) involved 2000 tennis balls giving the illusion of bouncing all over the various rooms and levels of the Mustang Art Gallery in Alicante this past fall. 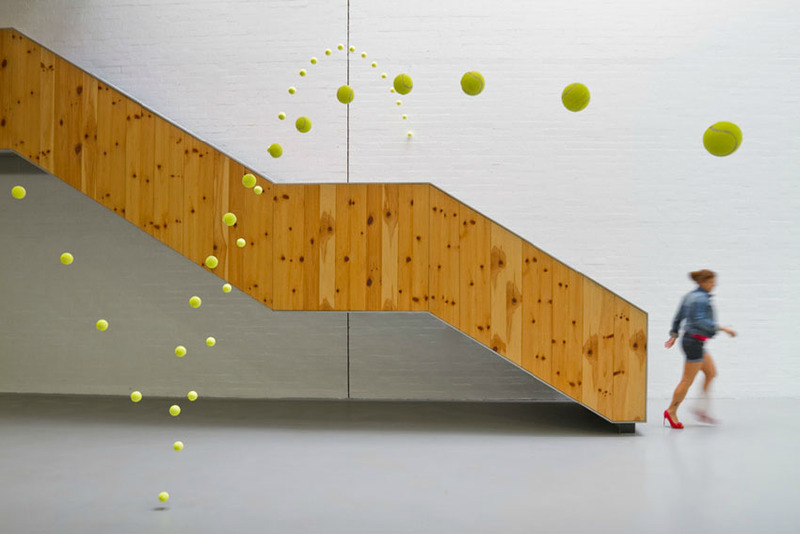 The multiple trajectories that these balls take have you looking in all directions. A bit like a three-dimensional airline route map. David Rokeby, Long Wave, 2009 !